Vanita Jyothi Mahila Sangam - a non governmental organization working on issues affecting the urban and Women Empowerment, with a special focus on Girl Child, Youth. For the past 14 years Vanitha Jyothi has been working in the rural & urban areas of Andhra Pradesh, India. Ensuring with food security, where children especially the girl child have a childhood, quality education so that one they can ensure themselves for a productive life for their families, and the communities they live in. 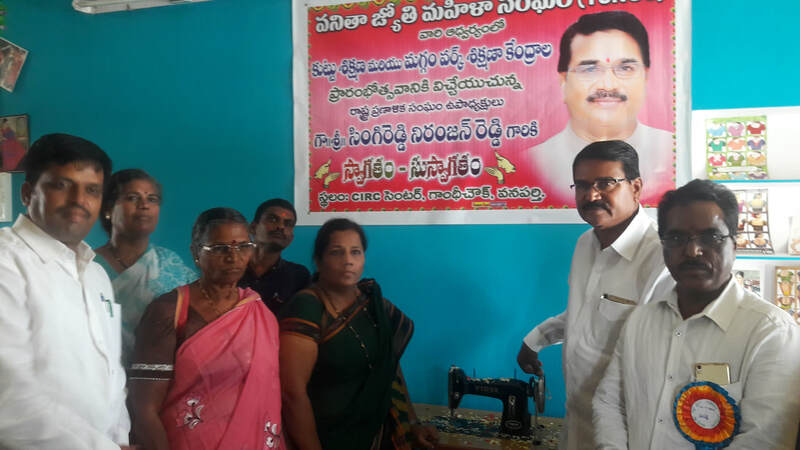 Vanita Jyothi is committed to develop of women by ensuring them to have equal rights in the society. We believe in the dignity of people and their capacity to overcome their problems. We work with the poorest and the most vulnerable in their struggle against poverty, suffering, and injustice.We have learned that entire societies develop when girls and women are enabled to be fully contributing community members. Women in India has always been marginalized and relegated to the status of subjugated class in the Indian society. Due to lack of specific implementation of plans & lack of awareness, local communities especially women have remained outside the scope and benefits of government schemes and programmes. Women have not actively participated in their emancipation due to their lack of economic independence and illiteracy. There is a need to address the issue by raising the status of women. The key lies in women empowerment through economic self-sufficiency and higher awareness levels on social, political and legal issues through mobilization. There is also a need to recognize and emphasize the diverse roles of women such as reproductive, productive and community management. Women should be organized and strengthened at the grass root level to end their subordination.